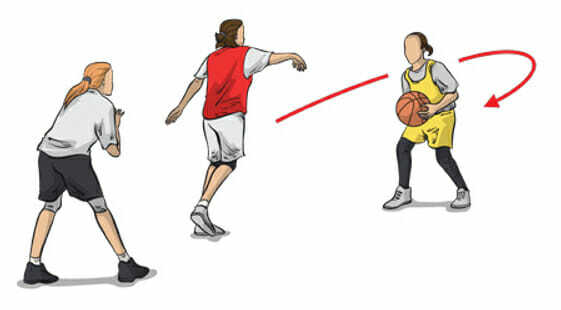 Players focus on executing a proper flick pass and follow-through. Players form four lines. One on each of the elbows, and one on each of the blocks. 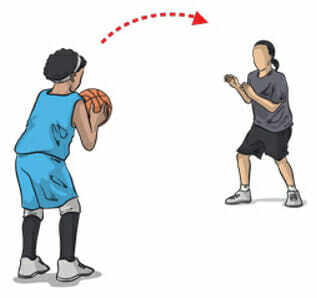 The left elbow line faces the right elbow line with a ball. 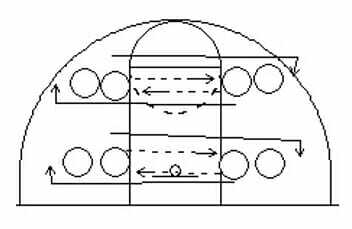 The left block line faces the right block line with a ball. 1. The first player in line executes a flick pass to the first player in the opposite line and holds his follow- through as he runs to the end of the line he passed to. 2. Player who receives pass then makes a flick pass back to the other line and holds his follow-through as he goes to the end of that line. 3. Players pass the ball back and forth and run to the end of the line they pass to. 4. Run the drill making both right-handed and left-handed flick passes. Players should be starting in triple threat position and stepping toward the player they are throwing to. Players should also be catching in triple threat position and jumping forward to meet the ball.